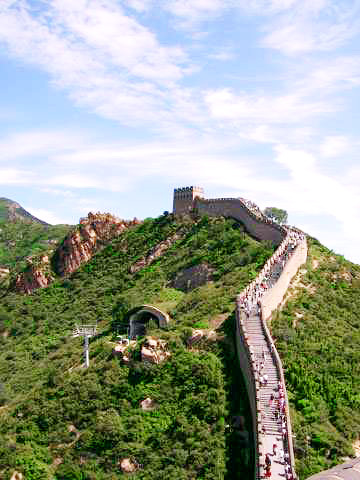 The Mutianyu Great Wall is considered the most beautiful section in Beijng. 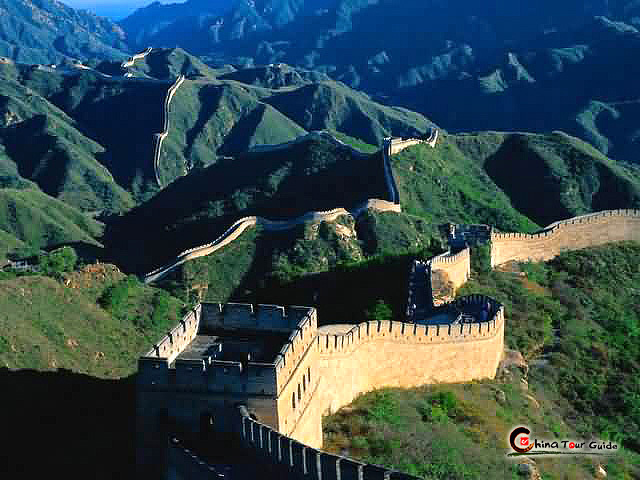 Located in Huairou County 72km northeast of Beijing, it stands opposite of Badaling Great Wall, connected with Juyongguan Pass in the west and Gubeikou Gateway in the east. The whole area is like a garden on a mountain top. 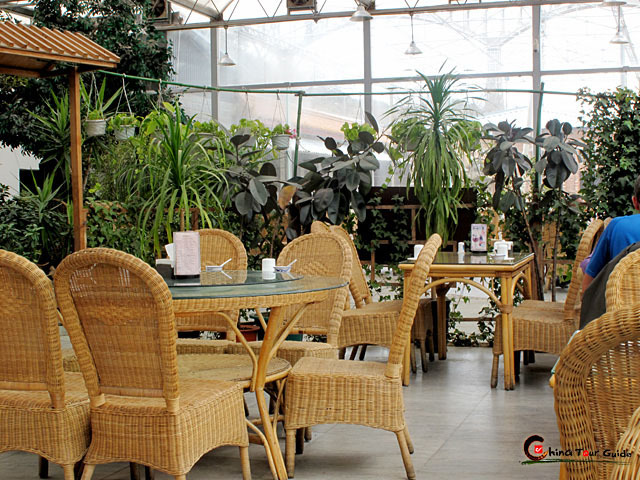 There are abundant natural springs which feed a great variety of plants and fruit trees, keeping the air fresh all year long. 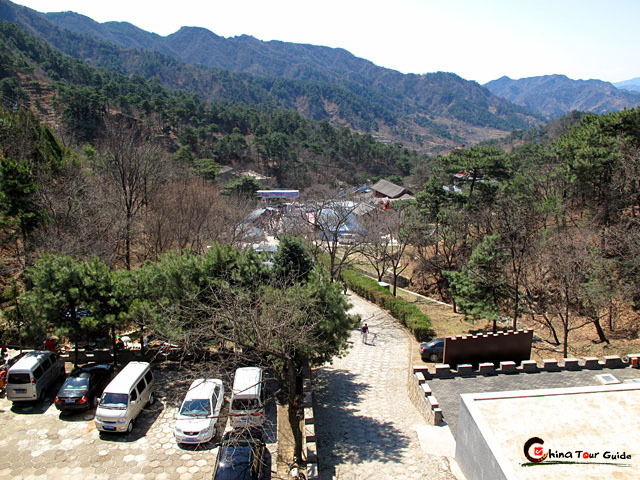 The scenic beauty is excellent especially in spring and autumn. 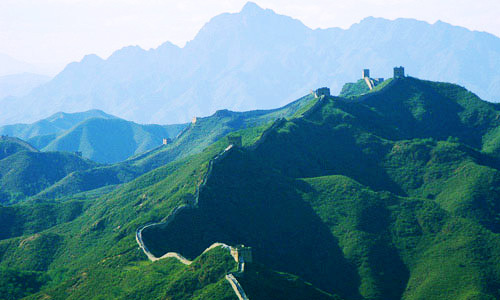 The ancient Mutianyu Great Wall stands wind and rain for thousand of years. 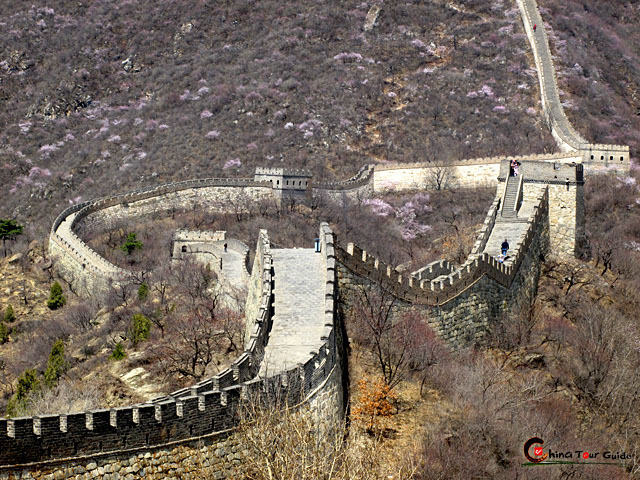 Mutianyu Great Wall is a lure for hiking and photo lovers. 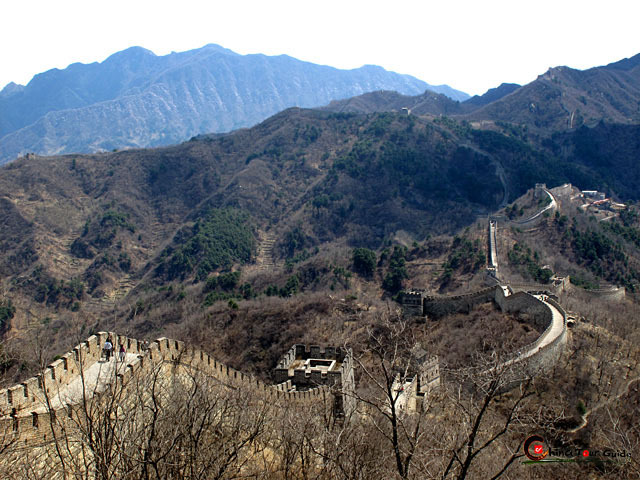 As one of the best-preserved parts of the Great Wall, the Mutianyu sector used to serve as the northern barrier defending the capital and the imperial tombs. 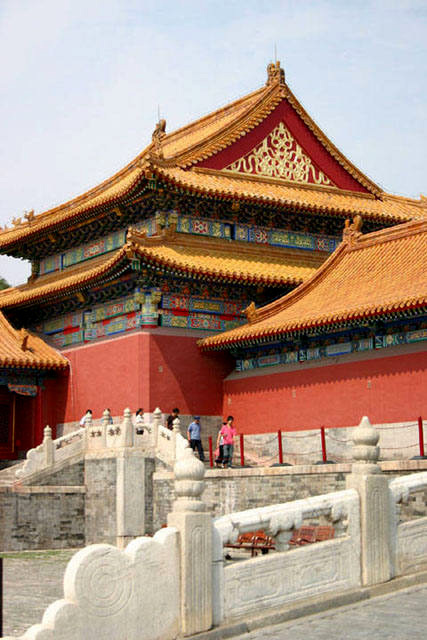 It was built and restored in early Ming Dynasty (1368-1644) on the remnants of a Wall originally built in the Northern Qi Dynasty (550-570). 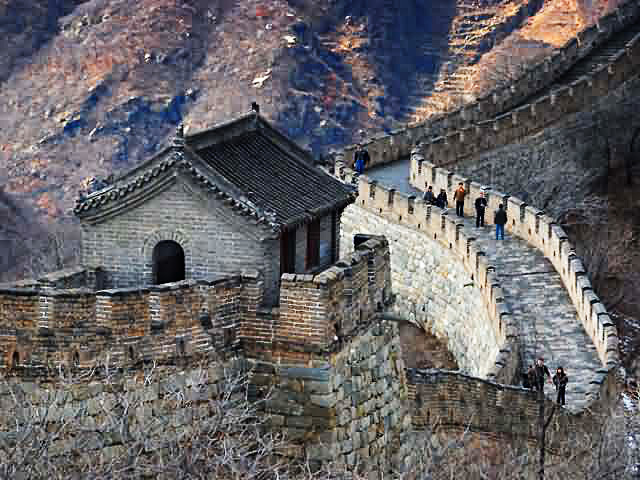 Hence, the wall has a storied history of over 1400 years. 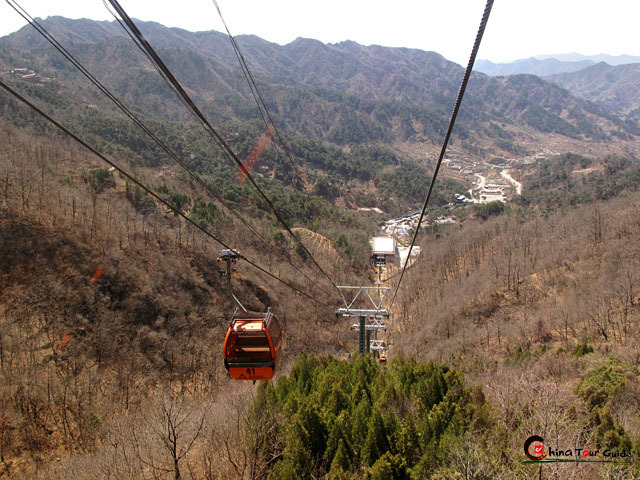 Mutianyu Great Wall is equipped with cable car, making convenience for visitors. 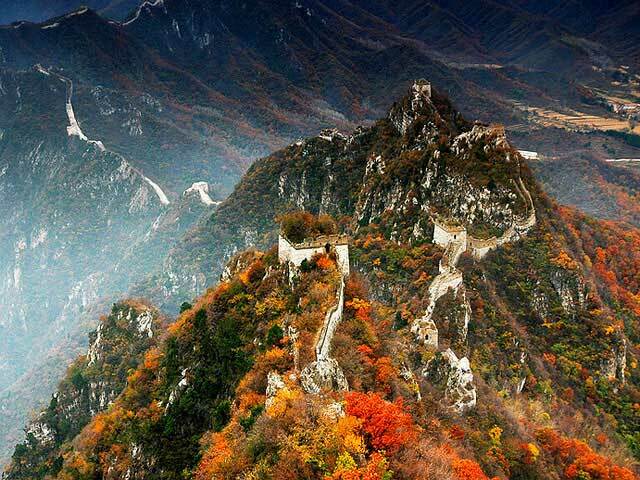 Late autumn is a great time to visit Mutianyu, when the leaves turn into all hues of red. 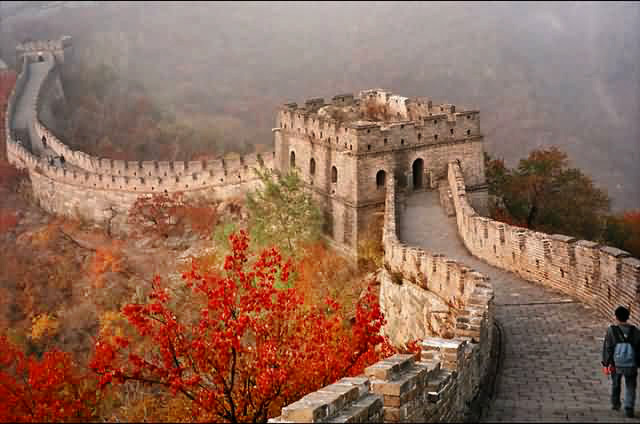 The Great Wall can be roughly classified as the main wall and branch wall. 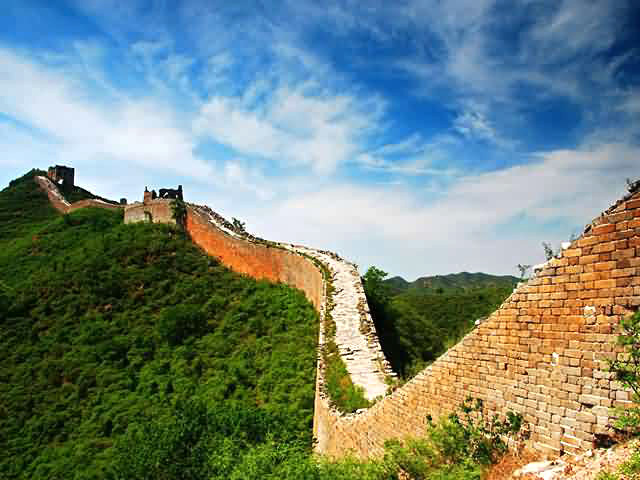 Mutianyu Section belongs to be the branch wall. Each side of it could have been attacked, so battlements were built on both sides to intensify the defense of the main wall. 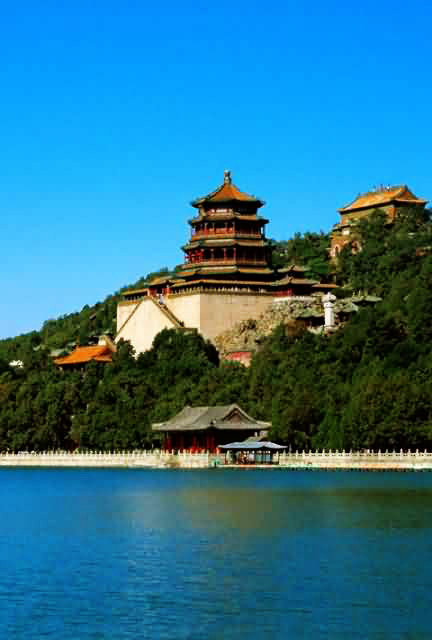 Famous buildings of Mutianyu Section include Ox's Horn, Arrow Nock, Tower with Nine Embrasures and Eagle Flying Belly-Up. 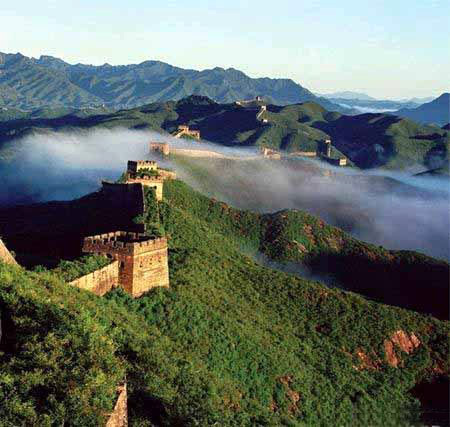 Because of its strategic military importance, the Mutianyu Great Wall has 22 watchtowers built at almost 100 meter (328 ft) intervals. This number of towers is much more than what would be expected along the Wall and is also highlighted by the particular form and structure. 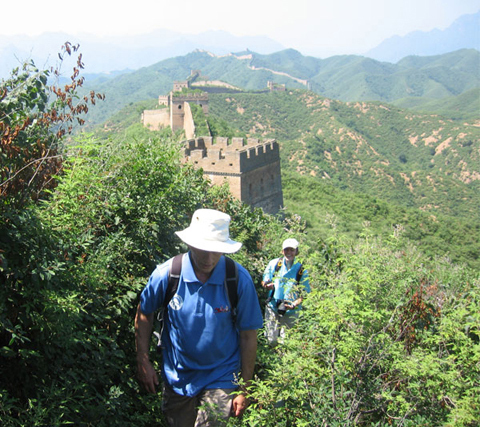 Do yourself a favor: give your lungs a breath of fresh air and discover a part of China that most people only see in televisions or magazines! 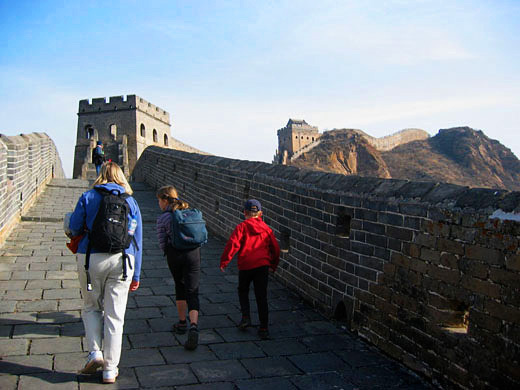 Comparing with Badaling Great Wall, Mutianyu Great Wall is less-touristy and equipped with the advanced Cable cars. 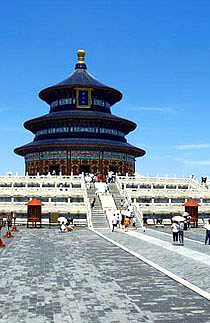 And not as far as Simatai and Jinshanling, Mutianyu is just over an hour from beijing. 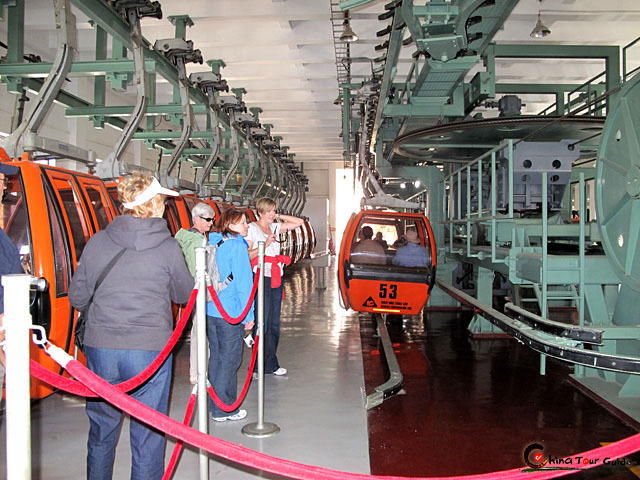 To get up to the Wall and back, you can either take the cable car or by your own feet. If you want a fun,you can try an exciting way to come down by taking the toboggan. 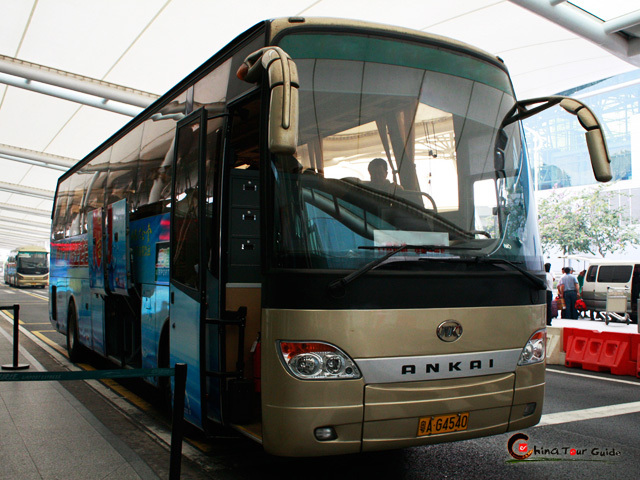 Its winding descent is thrilling and will give you some great views. 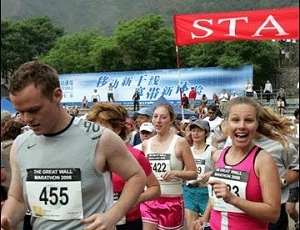 At any tower of Great Wall, you can buy pretty T-shirt or water from vendors. 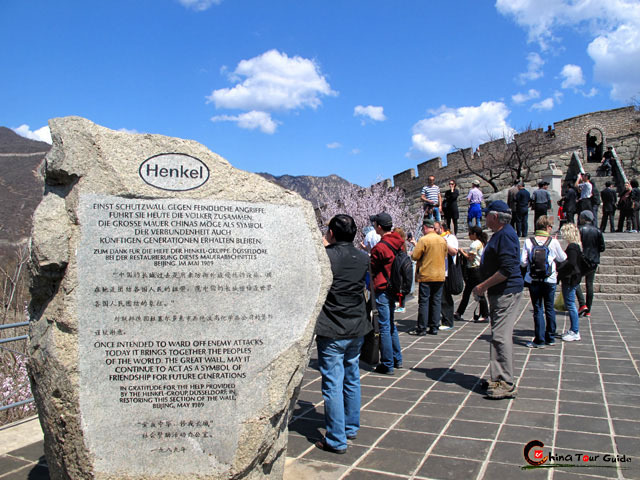 At the root of Mutianyu Great Wall, there are fish farms and restaurant, you can pick out your favorite trout from the pond and have it cooked for your meal. It isn't wonderful?! Mutianyu Great Wall Cable Station You can taste a local meal in restaurant nearby.